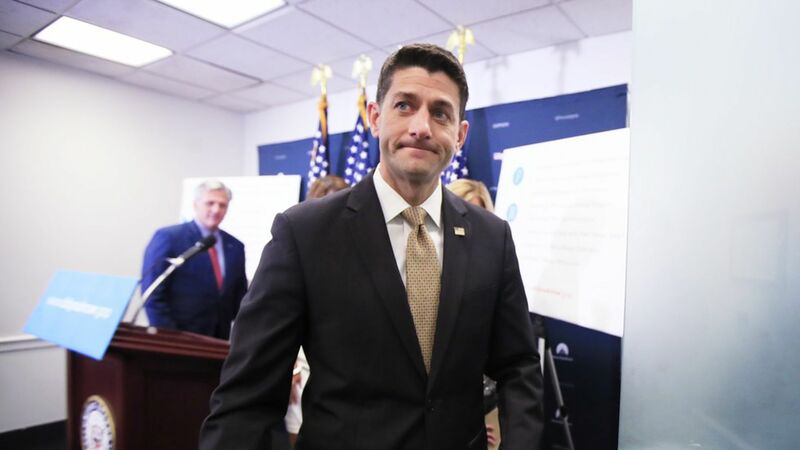 House Speaker Paul Ryan said Thursday evening that the House would be "willing" to go to conference committee with the Senate if that's what it takes to move the GOP's health care legislation forward. What he didn't do, however, was rule out eventually passing a "skinny repeal" bill if the conference committee fails to produce anything that can pass the Senate. The House could, according to the rules, still pass the skinny bill if the conference comes up empty, a senior GOP aide said. What Ryan said: "The reality, however, is that repealing and replacing Obamacare still ultimately requires the Senate to produce 51 votes for an actual plan..,the burden remains on the Senate to demonstrate that it is capable of passing something that keeps our promise, as the House has already done...We expect the Senate to act first on whatever the conference committee produces." Context: Three GOP senators — John McCain, Lindsey Graham and Ron Johnson — said shortly before Ryan issued the statement that they'll only vote for skinny repeal if the House assured them it would go to conference and the skinny bill wouldn't become law.